The Women’s Basketball Hall of Fame Board of Directors selects individuals to be inducted into the Women’s Basketball Hall of Fame. Selection is based on defined qualifications. 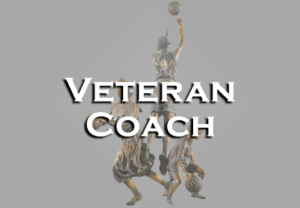 In order to be considered for selection in the veteran category, the nominee must have participated from the beginning of women’s basketball through the last AIAW Championship in 1982 and must meet a minimum of FOUR of the following requirements. 1. Minimum of 20 years as a coach. 2. Won 60% of games coached. 3. Won state and/or regional championship. 4. Competed in international competition (senior level). 5. Won a World Championship (senior level). 6. Competed in a Women’s Final Four. 7. Won a National Championship. 8. Significant contribution to the growth of women’s basketball (e.g., clinician, sport governing board, leadership in creating opportunity for girls and women in the sport of women’s basketball). 9. National Coach of the Year.